It’s time to celebrate! 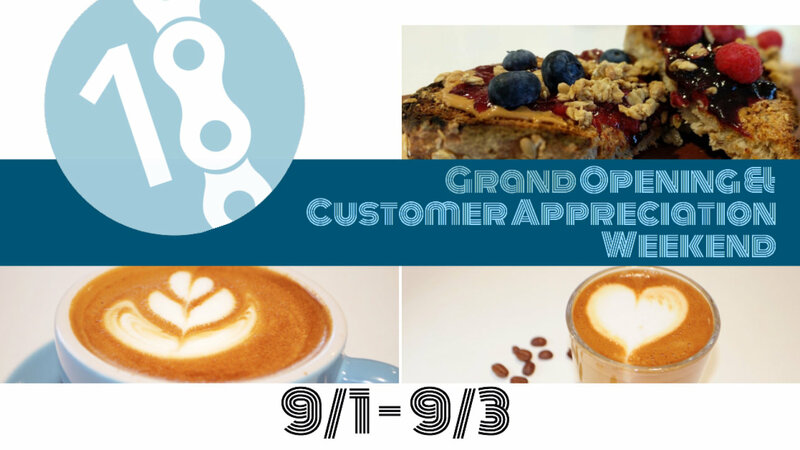 About six weeks ago we soft launched our new little cafe as part of VeloConcepts and we have been overwhelmed by the support and love from the community so we thought we’d celebrate with some festivities this Labor Day weekend. Starting this Saturday, September 1, 2018 we will be offering a weekend full of special events, tastings, giveaways and even a barbecue on Monday. So check out our list of events and come on down and help us celebrate.